A major problem with human decision-making is that we have to do it with incomplete and conflicting information. It’s hard. And there’s a lot of uncertainty and randomness involved — moreso in some areas than others — so it’s hard to fine-tune our decision-making through trial-and-error. In some cases, we may only get one shot at a decision. A lot of the time we have to weigh the probabilities of different (often conflicting) opinions and bits of evidence. We can take a sort of Bayesian approach, even without getting into the math: based on what we know already, we think some bits of information informing our opinion are likely to be true and helpful, and others are not likely to be true and helpful. For example, if I’m trying to pick where to go for dinner when I’m out of town for a conference, I could ask a few people for their suggestions. I’m going to put more weight on the advice of my friend Alex who has similar tastes to me than I would on the hotel concierge (a complete unknown who may be getting kickbacks to point guests to a restaurant) or my friend Ahab, who cares more about how food is sourced or presented than how it tastes. I’m also going to have a huge prior probability of choosing a pizza place, so it would take a very strong recommendation to move my decision to say a greasy spoon. In investing, I might put some high probability on the likelihood that the income statement and balance sheet are right, and some low probability that someone ranting on Twitter or on a blog is right, then come to a decision as to whether or not to invest in a company. The next trick then in your probabilistic model of the world is when do you shift your decision? There’s a lot of good stuff to read out there on the foibles of human decision-making, how we’ll stick to a decision far longer than we should, etc. So try to consciously consider from time to time what new evidence would make you change your mind or your weightings of the probabilities. 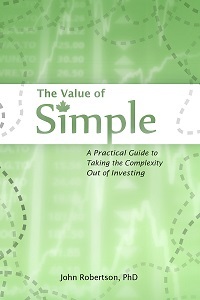 Granted, most of what comes out in the investing world is non-actionable noise: some analyst somewhere changing a price target or opinion on a stock is not necessarily a reason to change your mind on what the balance sheet is telling you or to sell — and I fully encourage you to get into the habit of ignoring most of that. But maybe something else might come along to outweigh your prior decision: firing the CEO (especially if your thesis revolves around betting the jockey not the horse), or missing targets, or the ascendance of a competitor. Allegations of fraud, for example, can (and should!) shake your faith in a decision based on book value (because if the financial statements are fraudulent anyway, then any information you got from reading them is worthless for making an investment decision). I think the Home Capital (HCG) case and the OSC disclosure is a timely example of this in action. For years I have been biased to the short side: I’m a real estate bear to begin with, I’ve heard of some shady lending practices (and conversely, have trouble finding evidence of people who likely shouldn’t ever get a mortgage not being able to find some way to close a deal), but HCG kept making money and writing more mortgages and going up. Then in 2015 the company disclosed its problems with fraud in their mortgage channel, and the disclosure was quite late, with insider selling associated, and heavily spun to be dismissive (for example, the company framed the number of loans as being less than 5%, but that was comparing the flow in 2014 to the total stock – of that year’s originations, the loans in question were something more like 10%, which really does sound material). Those were red flags to me, and though I wasn’t brave enough to short at the time, I certainly wasn’t going to buy the dip. But I could see the holding long case being potentially forgivable: maybe you saw real estate continuing on its tear (which it did), which washes away many sins of underwriting; maybe you figured it was a contained, one-time issue that was fully in the open and priced in to the stock. Short sellers like Marc Cohodes were, however, alleging that management had still not fully disclosed the problems — that the focus on the 2014 originations was missing that the problem could have been bigger (what were those brokers doing in 2012 and 2013? ), or that the problems in the company were larger than a few third-party mortgage brokers. Cohodes likes to use clever names: “the Queen Street Cowboys” for the OSC, or “the Potato Chip Queen” for Bonita Then. So in his tweets you may have seen “Project Trillium” referenced and figured that it was just another cute name he made up — after all, I tried several times to find out what the heck it was and there was nothing indexed in Google on it (other than Cohode’s tweets). Last fall was the first time I saw anything more than a tweet in this BNN piece. But then the OSC statement of allegations came out, and there it was: a reference to Project Trillium, confirming that that was the name of the Home Capital internal investigation into the mortgage fraud issue. And not just that, but that there were “serious systemic underwriting control deficiencies” (which had not yet been disclosed by management). In all the ink spilled over the bank run and collapse in Home Capital’s share price, not many (props to Macleans) picked up on that tidbit. Yet that’s the kind of new evidence that should make an investor immediately re-assess their probability weightings of the evidence – clearly the shorts did know something more than the longs. Sure, it’s not as big a deal as if the allegations were that the books were being cooked, but there are concerns when management is not being forthcoming and transparent about issues — and repeatedly hiding behind their freedom to interpret what is “material”. With the short lens on, you can start to find things that aren’t total red flags on their own, but look a bit suspicious in light of a company that’s not being transparent (or even actively hiding things wherever possible): like the “other operating expenses” line. Before the issues in 2014, that was broken into subcategories; in 2015 it’s all consolidated and increases from $70M to $90M, then to $123M in 2016. Or the news that HCG partners with a company started owned by the founder’s kids (without disclosing it as a related party transaction, again using the shield of a “not material” interpretation) to do 1st & 2nd mortgage package deals, seen as a way to side-step mortgage rules around borrowed down payments. In 2015 you may have put a low weight on the opinions of a short-seller like Marc Cohodes in your decision about what to do with HCG. As Marc’s track record as a short of Canadian names has become quite impressive over the past few years (Valeant, Concordia, Home Capital Group to name a few), and as it became clear that he likely knows more about this company than many of the longs speaking on TV, you should probably have increased your weighting of his opinion in your decision of whether or not to own the stock (especially if you were relying on the opinion of talking heads on TV who were on the long side). This was an interesting case for me to think about, because it was not as cut and dry as Enron or Sino-Forest, where the companies themselves were broken. AFAIK, no one has said that HCG is a complete sham, but the weakness of their controls could be a big issue if the housing market turns, and the number of fraudulent loans (or the slowdown in future business to prevent it from happening again) could be larger than previously indicated. Their lack of transparency is another issue, which IMHO is what underlies the bank run — banks are built on trust and HCG lost that. It’s also likely why they haven’t solved their liquidity issue by just selling loans: they had to massively over-collateralize the HOOPP loan, which on top of the other issues suggests that no one should be paying anywhere near par for mortgages they’ve written (and it only takes about an 8% discount to wipe out the equity thanks to the power of leverage). So whether your decision is to buy an investment or something totally different, what evidence and opinion did you consider when making the decision? How did you decide how much weight to give one piece of evidence over another? What new evidence would it take for you to change your mind? Full disclosure: I did purchase a small number of puts on HCG (i.e., I am effectively short). Footnote: This decision under uncertainty stuff helps show why active investing is so hard. 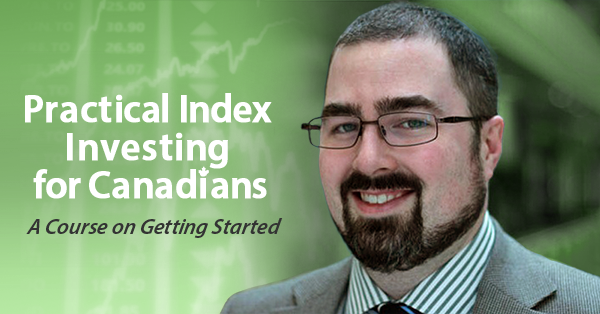 For 99.9% of investors out there, you should probably use a passive index investing strategy rather than messing around with individual stocks — and I just so happen to have an online course that will help teach you how to do that! While I did eventually take a position here, it is very small and could more properly be considered entertainment/gambling money rather than part of my long-term portfolio, which is mostly passive ETFs. You are currently browsing the Blessed by the Potato weblog archives for May, 2017. Blessed by the Potato is proudly powered by WordPress ♦ Entries (RSS) and Comments (RSS). ♦ 23 queries. 1.504 seconds.